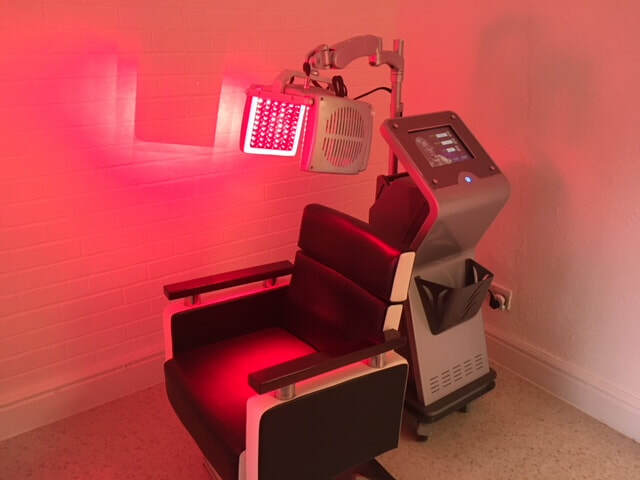 Low level laser therapy - also known as red light therapy, cold laser, soft laser, bio-stimulation and photobiomodulation - is a safe form of light/heat treatment for a variety of health indications and is used to treat genetic forms of hair loss common in men and women. The current topically applied treatment standard for pattern balding is minoxidil. However, low level laser treatment for hair loss is now also promoted as a safe alternative or additional treatment. It effectively stops hair loss in 85 – 95% of users. It actively increases thickness of individual hairs by 25%, and it accelerates blood circulation and cellular growth. The procedure is painless as the therapy is dominated by light. 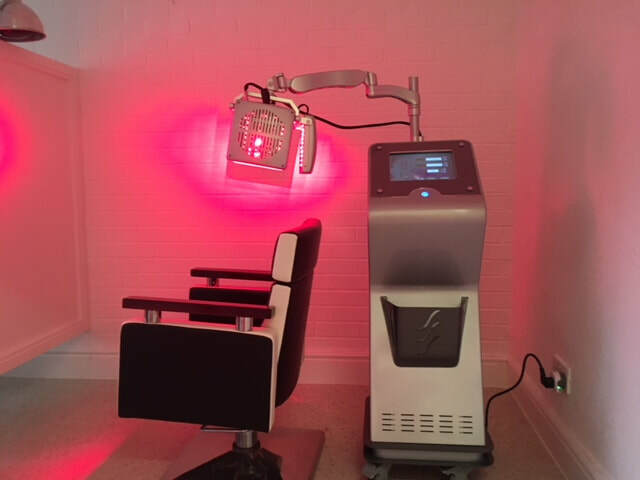 The laser generates cold light to achieve reduction of hair loss and increase in hair growth. Much more is known about the effects of laser light on biochemical and cellular function. Enhances microcirculation of capillary blood vessels. Has an analgesic effect. Relieves pain and irritation. Immuno stimulation with correction of cellular and anti-body activity. Increases anti-oxidant activity in the blood. Stabilises oxidative degradation of lipids. ​Genetic hair loss can affect up to 70% of men (male pattern balding) and 40% of women (female pattern balding) at some point in their lifetime. While men typically present with a distinctive pattern involving hairline recession and vertex balding, women normally exhibit a diffuse hair thinning over the top of their scalps. 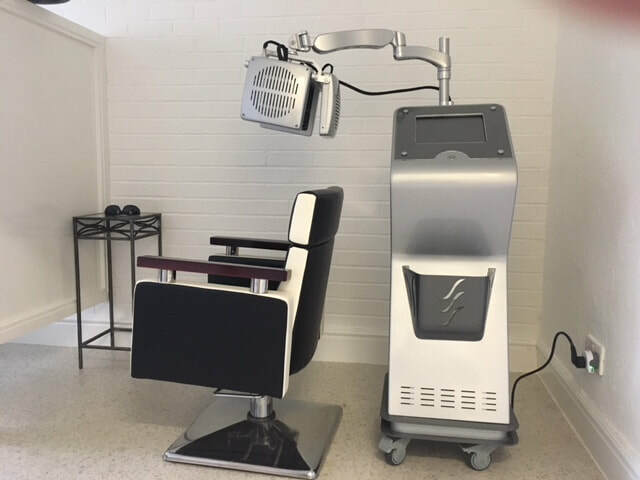 Scientific research has shown that low level laser therapy can provide benefit for some men and women suffering from genetic type of hair loss. Whether this treatment is suitable in your particular case is determined at consultation.